The World Health Organization (WHO) is expected to confirm that Sierra Leone is free of Ebola. The Ebola outbreak killed almost 4,000 people in Sierra Leone over the past 18 months. Thousands of people took to the streets of the capital, Freetown, last night marking 42 days without a single declared case of the disease. Many gathered around a giant cotton tree in Freetown’s center, where some lit candles in memory of the victims, and others danced with joy. According to the WHO, a country is considered free of human-to-human transmission once two 21-day incubation periods have passed since the last known case tested negative for a second time. On November 6, Ernest Bai Koroma blamed the WHO for delaying Sierra Leone declaring a state of emergency and restricting movement during the Ebola outbreak. The president said his government did at the time what it could do and did not have the knowledge to fight the disease. Ernest Bai Koroma said his government had to put up with the delays because international organizations such as the WHO “were the experts”. Neighboring Liberia was declared Ebola-free in September following 4,800 deaths there. 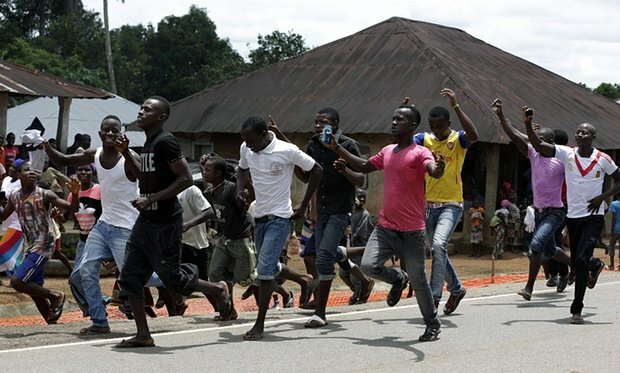 A handful of cases are still being reported in neighboring Guinea, and Sierra Leone has said it will take heightened security and health screening measures at their shared border.